USA head coach Don Showalter (coach director, USA Basketball youth division) and USA assistant coaches Scott Fitch (Fairport H.S., N.Y.) and Stan Waterman (Sanford School, Del.) will return to lead the 2018 USA Basketball Men’s U17 World Cup Team after guiding the USA to a gold medal at the 2017 FIBA Americas U16 Championship and a qualifying berth for the USA for the 2018 FIBA U17 World Cup..
Showalter, Fitch and Waterman will coach the USA team at the 2018 FIBA U17 World Cup from June 26-July 8 in Rosario and Santa Fe, Argentina. 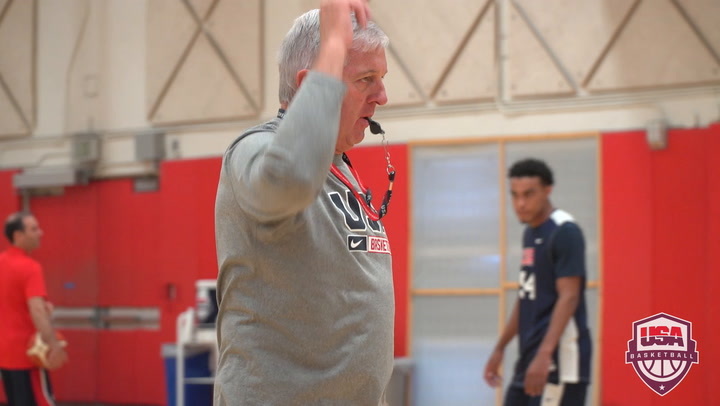 Nine-time USA Basketball gold medalist head coach Don Showalter also has served as a coach director, USA Basketball youth division since May 2016. A high school coach for 42 years and a nine-time USA Basketball Developmental Coach of the Year award winner, Showalter owns a perfect 55-0 record at the helm of USA Basketball U16 and U17 national teams since the inaugural U16 competition in 2009. 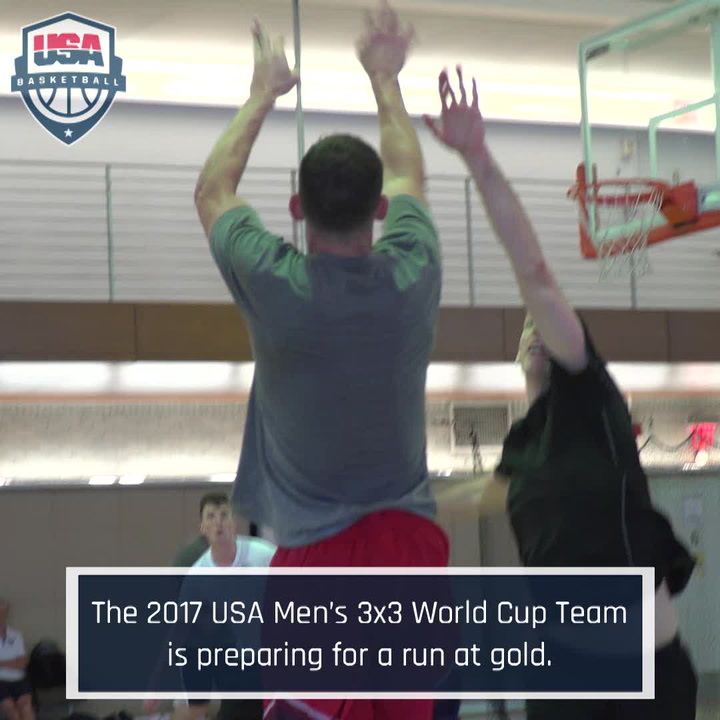 Most recently, Showalter led the 2017 USA Basketball Men’s U16 National Team to a 5-0 record and gold medal at the 2017 FIBA Americas U16 Championship. 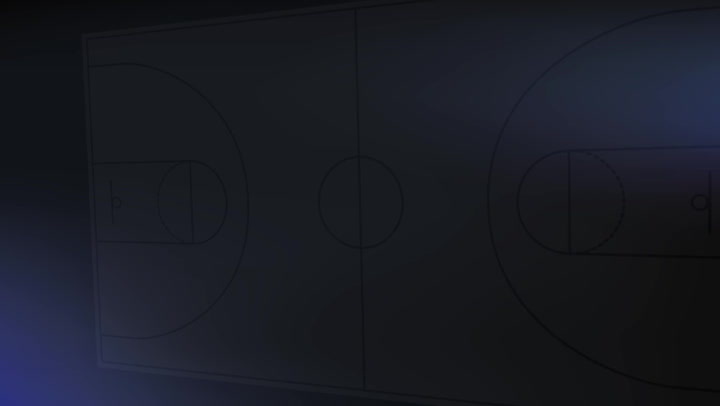 He has led the 2009, 2011, 2013, 2015 and 2017 USA men’s U16 national teams to gold medals, as well as top-finishes for the 2010, 2012, 2014 and 2016 FIBA U17 World Cups. Further, Showalter was the U.S. Olympic Committee 2012 Volunteer Coach of the Year, and each October he serves as head coach of the USA Basketball Men’s Junior National Team minicamp, which helps prepare the USA Basketball Men’s Junior National Team for future competitions. Fitch has been the head boys basketball coach at Fairport High School for 17 seasons (2001-02 to present), and he has compiled a 277-78 overall record (.780 winning percentage) through 2017-18. 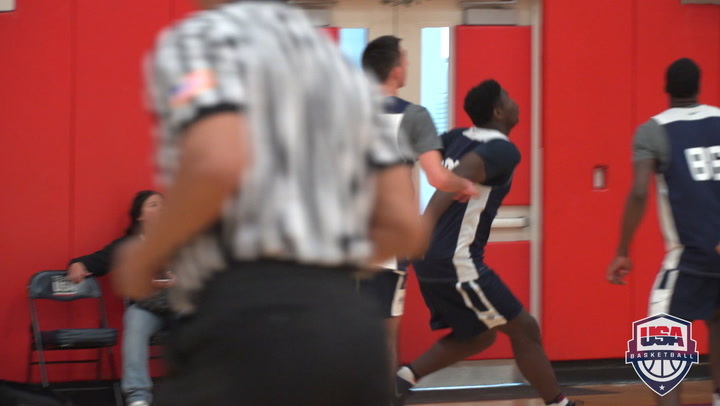 In 2017-18, Fitch and his Fairport team finished 16-6 and reached the Section V Class AA semifinals. In 2016-17, Fitch led Fairport to a 22-2 record, a section title and the state championship game. Five times he has been honored as the Monroe County Coach of the Year, twice as the Section V Coach of the Year and as the 2007 All Greater Rochester Coach of the Year. He led his team to back-to-back Section V Championships in 2006 and 2007, and to the state final four in 2007. “Anytime you represent the United States it is an honor, Fitch said. “I look forward to the challenges we will face at the world cup. We know it will not be easy, and it is a challenge we look forward to. “One of my favorite parts about the U16 experience was the players,” Fitch added. “They not only were great players, they were great kids. Waterman completed his 27th season (1991-92 to present) as the boys basketball head coach at Sanford School in 2017-18, where he has been the dean of students since 1993 and also is the assistant athletic director. In 2017-18, Waterman led Sanford to a 17-6 record and the Delaware Interscholastic Athletic Association state tournament semifinals. And in 2016-17, Waterman led Sanford to a 19-9 record and the DIAA state tournament quarterfinals. In 2016, after leading his team to a sixth state championship, he was honored by the Delaware Sportswriters and Broadcasters Association as the recipient of the Tubby Raymond Award as the Delaware Coach of the Year. He also led Sanford to state titles in his inaugural campaign in 1992, in 2002 and for three-straight years from 2010-2012. “It’s an honor to be selected as an assistant coach for the 2018 USA U17 team,” Waterman said. 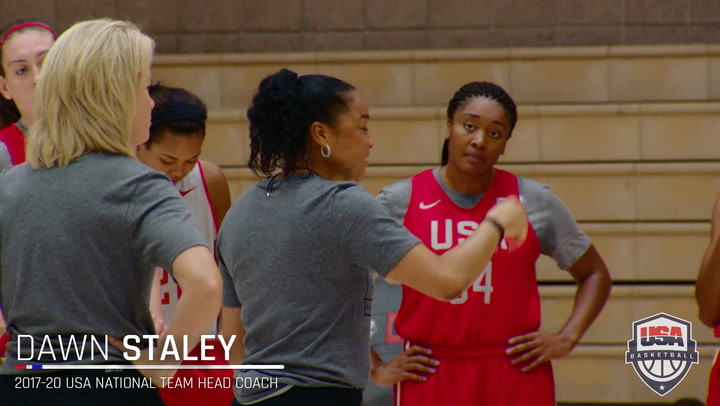 “The USA Basketball organization is amazing, and I am thrilled to be a part of it. Training camp to determine the 12-member roster for the 2018 USA Men’s U17 World Cup Team will be conducted June 15-18 at the United States Olympic Training Center in Colorado Springs, Colorado. The finalists, which are expected to be named on June 18, will continue training camp at the USOTC, and the 12-member roster will be named prior to the team’s departure for the competition on June 23. Athletes eligible for this team must be U.S. citizens who are 17 years old or younger (born on or after Jan. 1, 2001).